Players, parents & coaches, welcome to soccerloco! We're excited to have you as part of our team and look forward to working with you this season. This page has been created as a resource for your club members and has information about placing an order, product availability and club days, as well as contact information for your account manager if you have additional questions. All team uniform and fan gear product can be ordered from inside our Team Room. The Team Room is a password protected area of our site that you can access by creating an account and entering your club specific code. Your club specific code should be available from your team manager, otherwise our customer service team can provide it to you. For detailed instructions on how to use the Team Room and place your team order, please click here. 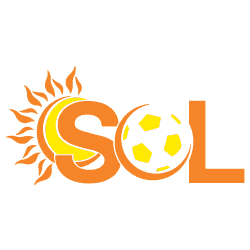 Club days are special times when families of our member clubs can shop soccerloco stores and soccerloco.com with an additional discount. Club days are a great opportunity to save on footwear, equipment, fan apparel and more. Team uniforms and all required items are already discounted at the club negotiated price, so there is no need to wait on ordering those items as the prices will be the same during club days.